This really is one of the best pieces of Jewellery I think I have created to date. 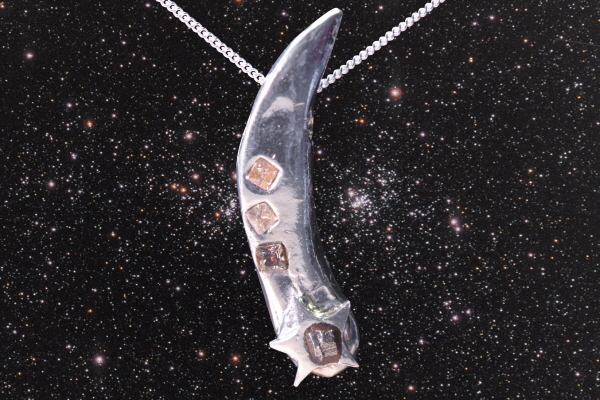 It is a solid silver shooting star, hanging down, with a fragment of iron meteorite set into the star itself. The necklace measures 3.5cm top to bottom and is strung from an 18 inch sterling silver chain and boxed in a stunning black velvet lined jewellery box along with a signed certificate of authenticity. I hope you will agree it is a bit of a stunner!